Cellular Release is a one-of-a-kind technique to let go of old physical and emotional trauma, especially for those who have experienced feelings of being mistreated, victimized, misunderstood or not properly respected. These are just feelings that create debris and crystallization in the brain, liver and throughout the body. Whether you are an individual or part of a team like myself (Body Detectives), a session of Cellular Release is just the remedy for breaking down the crystallized debris in the body's cells and dealing with the emotional and spiritual issues. A Body Detective is a person who has completed the Body Detective Training program and has learned to utilize his intuitive skills and abilities to perform Cellular Release Sessions. Dr. Patrick Price is a practicing chiropractor, martial arts instructor, and experienced health speaker with advanced spiritual sight, touch, hearing and intuitive knowing. 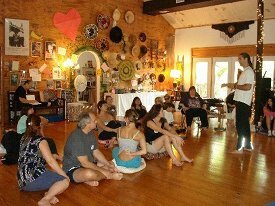 His new wellness center is the premier center in Houston, Texas for many trendsetters in the alternative healing arts of today. Dr. Price's wellness center has a wide variety of doctors, health professionals, and advanced healing technologies to provide you with the latest and greatest in achieving optimum health. Check the schedule for our upcoming classes. Copyright © 2005 - 2013 — Dr. Patrick Price — All Rights Reserved.